On the surface, Brad looks like a well meaning, great guy. Familiar. His arguments many years ago about Chaos Theory and the unpredictability of nature, were spot on, especially as it relates to dinosaurs. Seeing commercials for ILS’s wasn’t something anyone could’ve predicted. Nor would I have wanted to. Unless you need one, to most, apartments are pretty boring. I always wondered how anyone could make a commercial about apartments not sound like a commercial for life insurance. Earlier this year, we heard about how a change gonna come. What was the change a comin’? I remember the first time I saw it. I was sitting in front of my television, the screen faded, and The Good Wife went to commercial. I grabbed my iPad to waste time and then I heard his sarcastic voice from out of my sound bar. There he was, Malcolm, err, Jeff, oops, I mean Brad Bellflower! That name is so catchy right? Bellflower? It just rolls off the tongue. I always felt that an F and an L next to each other can cause tongue trip ups but what do I know? I was never in their focus groups. Wait, Silicon Valley Maverick? In his 60’s? I suppose that could make sense, right? Malcolm Brad is everywhere now. Televisions, office desks, trash cans, recycle yards. 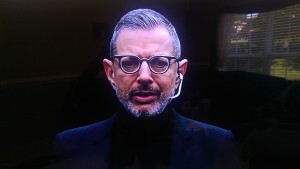 His “Jobs-esque” black outfit, his green beaded bracelet, those dark rimmed glasses, and the headset. Who is he talking to on that thing? Us? Them? Is he in a call center taking calls from angry prospects? What is Brad really telling all of us anyway? That everyone uses the internet? 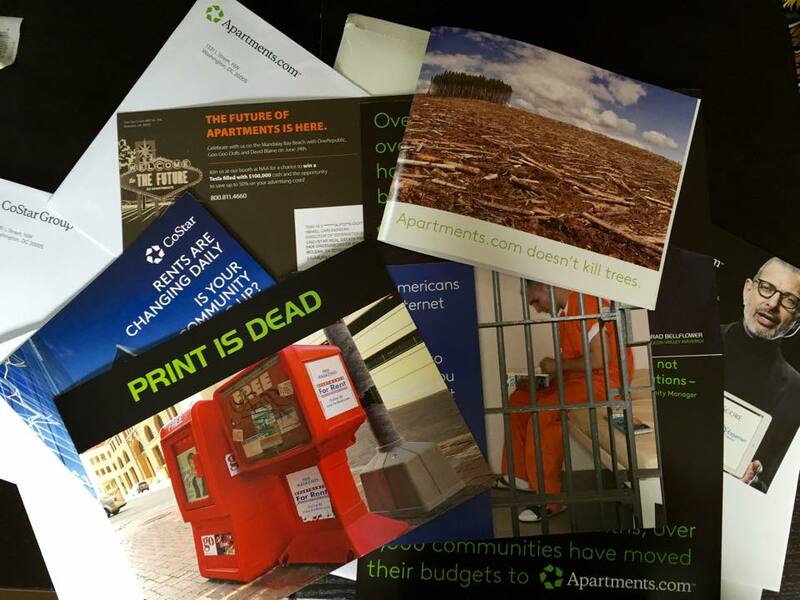 From the stacks of mailed out fliers it says, “Over the years, millions of trees have been clear cut to print directories.” Blah, blah, blah (I’m paraphrasing).. “Print is Dead.” it says. Really? I looked up the definition of irony. Turns out that irony is when someone says one thing but really means another. Take the phrase(s), Print is Dead or clear-cutting every tree, from the flier in the picture above. 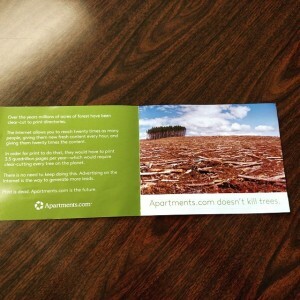 Wouldn’t it be funny if you said that print was dead and then mailed out reams of marketing induced, glossy style – paper? Yeah, that stuff made from trees. Oh the irony. Only 13% of Americans do not have internet access today. 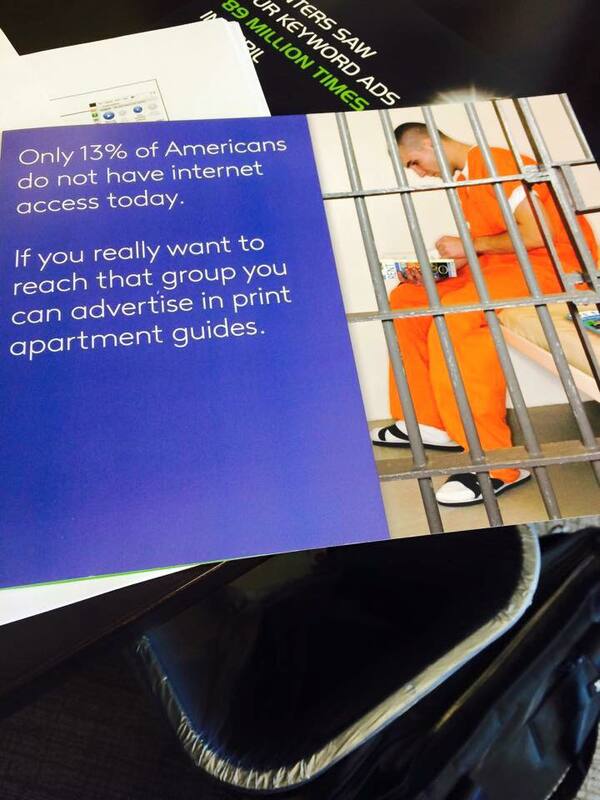 If you really want to reach that group, you can advertise in print apartment guides. Wait. Huh? 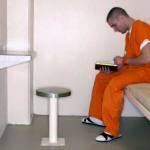 You’re not including my Aunt Lucile who isn’t in prison but has no internet. What about people who live where internet is not available? Don’t they count? I won’t argue whether print is or is not dead. I just think that there might be better ways to get your point across. I bet that Brad loves Photoshop. He seems to be the kind of Maverick that might. 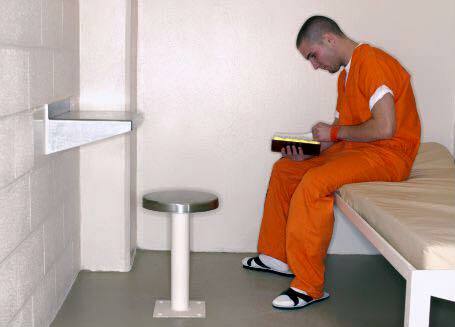 We found the original stock photo of the convict. Is this type of ad the change that was referred to? I wanted to make it a point to try to meet this Brad guy. Had to. I had a lot of questions. What is a true Silicon Valley Maverick like and do they all just wear the color black? What does he have to say about this aggressive form of advertising? I sent emails and text messages to try to schedule a meeting. I mailed flyers and sent a courier by Pony Express. I used pigeons. After a few weeks of trying, I was sent a response letter and given the opportunity to sit down with him for a quick interview. “I’ve had enough! This interview is over!” Jeff, dressed as Brad but looking strikingly like Malcolm, stood up, threw his headset to the ground, and stormed off.